"We" relates to website operator - CarpetWays Direct (UK) Ltd.
"Customer" relates to the person or company buying goods from CarpetWays Direct (UK) Ltd.
"Price Paid" relates to the price paid by the Customer for the product excluding carriage. "Product" relates to any flooring components supplied by CarpetWays Direct (UK) Ltd.
We reserve the right to change these Terms and Conditions at any time. It is your responsibility to read the Terms and Conditions on each occasion that you use this website, and your continued use of the website shall signify your acceptance to be bound by the latest Terms and Conditions. If you are not the final consumer, you confirm that you have the authority to bind any business on whose behalf you use this website. Certain website services will require registration and subsequent access to those services will be subject to an approved login name and password ("Password Details"). Information that you provide on this website must be accurate and complete. All Passwords Details are accepted and may be withdrawn at our sole discretion. They are exclusive to you, non-transferable and must be treated as strictly confidential at all times. In the event that you have any concerns regarding your Password Details or become aware of any misuse, you must inform us immediately. All orders that you place with CarpetWays Direct (UK) Ltd will be subject to acceptance in accordance with these Terms and Conditions. The 'confirmation' stage sets out the final details of your order. Following this, we will send to you an order acknowledgement email detailing the products you have ordered. Please note that this email is not an order confirmation or order acceptance from us. Once we have received your order we will check the necessary information such as stock levels and pricing, we will then contact you to arrange a suitable date for delivery. Acceptance of your order and the completion of the contract between you and us will take place when we dispatch the products ordered, unless we have notified you that we are unable to accept your order or you have cancelled it. Our 'Free Delivery' service is for orders £250 and above for customers with mainland UK addresses (Zone 1), otherwise we charge £10 per order. We deliver to other areas within the UK with details available on our 'Deliveries' webpage. All goods must be signed for by an adult aged 18 years or over upon delivery. Delivery charges and estimated timescales are specified on the Delivery webpage. We make every effort to deliver goods within the estimated timescales; however delays are occasionally inevitable due to unforeseen factors. We are under no liability for any delay or failure to deliver the products within the estimated timescales. If you believe the products have been damaged during transport do not sign the delivery note instead mark it "Packaging Damaged/Unchecked" and contact us immediately. Risk of loss and damage of products passes to you on the date when the products are delivered or the date that the first delivery is attempted by us. Delivery is to the nearest kerbside of your address. Some drivers are happy to take items to your front door or into the property upon request, but this is at their discretion and we cannot guarantee that they will do this. We cannot be held liable if any damage occurs as a result of items being taken into the property. Please note that we strongly advises that you do not book your fitter or landscaper until you have received and checked your order. As we are not liable for any installation costs or lost wages. To ensure that your PayPal account is not being used without your consent, we only deliver to your address verified by PayPal. The price you pay is the price displayed on the product page of this website for your specified size(s) at the time we receive your order. While we try and ensure that all prices on our website are accurate, errors may occur. If we discover an error in the price of goods you have ordered we will inform you as soon as possible and give you the option of reconfirming your order at the correct price or cancelling it. If we are unable to contact you we will treat the order as cancelled. If you cancel and you have already paid for the goods, you will receive a full refund. 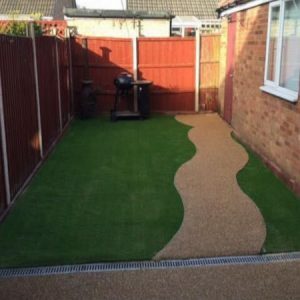 Ownership to any products you order with CarpetWays Direct (UK) Ltd. shall pass to you on delivery of the products provided that we have processed and received payment in full for the products. All prices are shown in £ sterling and include VAT (where applicable) at the current rates and exclude delivery charges calculated later from your Postcode during ordering, unless expressly stated otherwise. When ordering from CarpetWays Direct (UK) Ltd. via this website or over the phone you have a right to cancel and return your order up to 14 days after receiving your order. Some products are excluded from this policy for example items which are cut to your bespoke size. Please note you will be responsible for the organization and cost of returning the item(s) to us. All items must be returned in the same packaging and condition in which they were received by you. In the unlikely event that you receive faulty or damaged goods, please contact us prior to cutting and/or fitting the item(s) and we will arrange for the faulty or damaged goods to be collected and replaced. Unfortunately if any ordered item is removed from its original condition (for example cut and fitted) we will be unable to replace the item(s). Sometimes the product specifications from the manufacturer may change, in which case we will do our best to offer you a similar alternative. We may experience problems with the supply of certain products and may therefore supply a substitute of the same or better quality at the same price. If you are not happy with the replacement or substitute you can return it in accordance with our 14-day money back guarantee. Where applicable, you may cancel your order in accordance with your rights under the Distance Selling Regulations. Due to differences in Computer Monitor colour profiles the colours of products shown on this website can not be guaranteed. Please Contact Us if you require a sample. When you receive your flooring, please remove all packaging and visually check the product itself to ensure it is the correct quality, size, pattern and colour as you expected, and free from damage and/or defects. Once you have cut into and/or fitted the item, you are the owner and CarpetWays Direct (UK) Ltd. cannot be held responsible for any exchanges or fitting costs. Please note, we are unable to guarantee an exact colour match on different rolls. If an exact colour match is required please contact us at the time of ordering and we will do all that we can to help. An exact colour match is especially hard to achieve when different widths have been used, or the flooring has been ordered on different dates. All pile carpets, especially plain grounds are liable (after they have been in use for some time) to shading, i.e. to show light and dark patched areas. This is due to uneven pressing of the surface by treading. Light and delicately shaded carpets are liable to become soiled with wear and it may appear that the colour has faded. Both tendencies are inherent in all pile fabrics and therefore we cannot accept any responsibility for complaints arising from either of these causes. All dimensions are in accordance with British Standards 3655 (1974) +/- 1.25% in width and/or length. Whilst every effort is made to deliver goods on the day specified, this service is not guaranteed. We cannot offer compensation as a consequence for late or early delivery. Any information given regarding anticipated delivery times or dates is given in good faith. You acknowledge and agree that all copyright, trademarks and all other intellectual property rights in all materials and/ or content made available as part of your use of this website shall remain at all times vested in us and our licensors. You are permitted to use this material only as expressly authorized by us or our licensors. You acknowledge and agree that the material and content contained within this website is made available for your personal, non-commercial use only and that you may only download such material and content for the purpose of using this website. You further acknowledge that any other use of the material and content on this website is strictly prohibited and you agree not to (and you also agree not to assist or facilitate any third party to) copy, reproduce, transmit, publish, display, distribute, commercially exploit or create derivative works of such material and content. Subject to Section 1 above, we will use reasonable endeavors to verify the accuracy of any information on the website but make no representation or warranty of any kind, express or implied statutory or otherwise, regarding the contents or availability of the website or that it will be timely or error-free, that defects will be corrected, or that the website or the server that makes it available are free of viruses or bugs, or represents the full functionality, accuracy, reliability of the website we will not be responsible or liable to you for any loss of content or material uploaded or transmitted through the website and we accept no liability of any kind for any loss, damage from action taken, or taken in reliance on material or information contained on the website. Subject to Section 1 above, other than expressly provided in these Terms and Conditions with respect to specific products and except for the exclusive remedies set out in Returns, Cancellation and Substitution Section above, any indemnities, warranties, Terms and Conditions (whether express or implied) are hereby excluded to the fullest extent permitted. Economic losses (including without limitation loss of revenues, data, profits, contracts, business or anticipated savings). Injuries suffered or incurred by that party arising out of, or in connection with the provisions of any matter under these Terms and Conditions. Notwithstanding the above, subject to Section 1 our aggregate liability (whether in contract, tort or otherwise) for loss or damage shall in any event be limited to a sum equal to the amount paid or payable by you for the product(s) in respect of one incident or series of incidents attributable to the same cause. This Section does not affect your statutory rights as a consumer, nor does it affect your contract cancellation rights. We have selected our products on the basis that they will be used for domestic use only (exceptions apply and are clearly marked as suitable for contract/ commercial use), if you are planning to use them for business purposes please make sure that you are covered by the appropriate insurance. Where you decide to use the products in the course of a business, we exclude (to the fullest extent permitted by law) those warranties and conditions relating to fitness for a particular purpose. Our maximum liability to business users arising out of or in connection with the products shall be limited to the replacement value of the product in question (except in the case of death or personal injury caused by our negligence or in respect of fraud). In relation to business users, we do not accept liability for the fitness of goods for business purposes, nor do we accept liability for neither loss of use of the item nor any loss over and above the cost of the item in the event of a claim for breach of warranty or condition. You may not assign or sub-contract any of your rights or obligations under these Terms and Conditions or any related order for products to any third party unless agreed upon in writing by CarpetWays Direct (UK) Ltd.
We reserve the right to transfer, assign or sub-contract the benefit of the whole or part of any of its rights or obligations under these Terms and Conditions or any related contract to any third party. These Terms and Conditions including the documents or other sources referred to in these Terms and Conditions supersede all prior representations understandings and agreements between you and CarpetWays Direct (UK) Ltd relating to the use of this website (including the ordering of products) and sets forth the entire agreement and understanding between you and CarpetWays Direct (UK) Ltd for your use of this website.